Titus Davis is the son of noted potter Darla Davis and a brother-in-law of Eric Lewis. 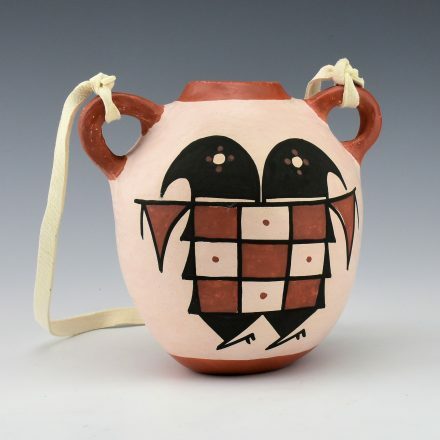 He creates hand-built pottery and is known for his more contemporary style. 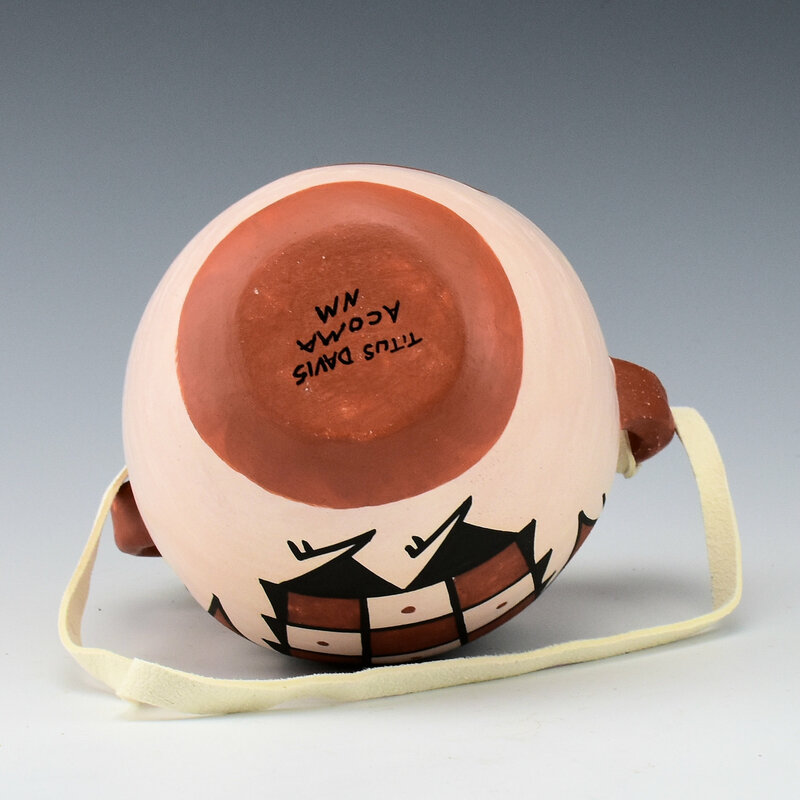 However, this is one of his traditional Acoma canteens. The canteen has a classic bird pattern on one side and painted with native clay slips. 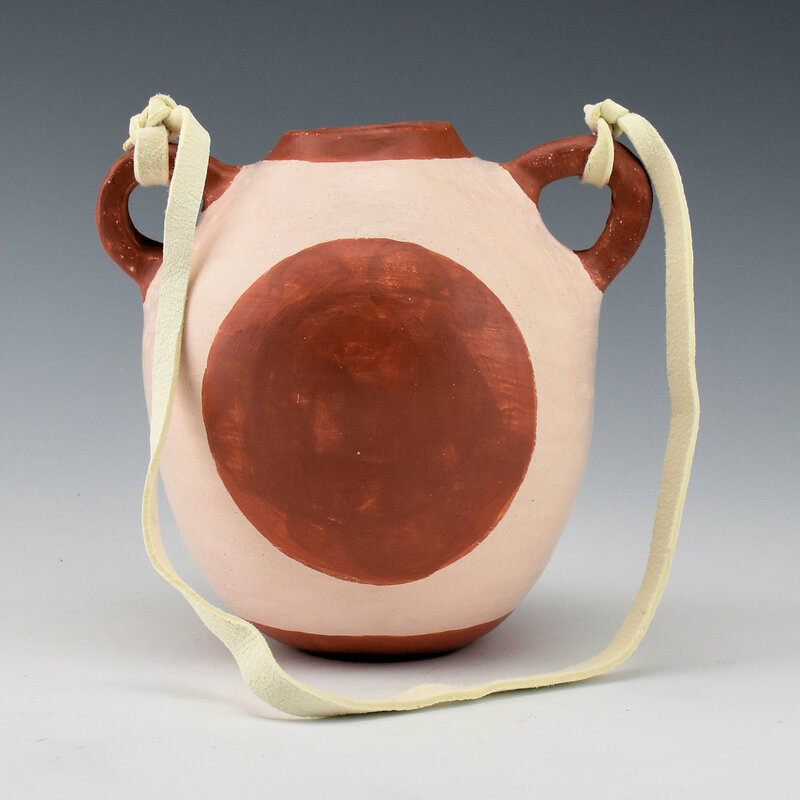 It is charming with the handles and the taller shape. 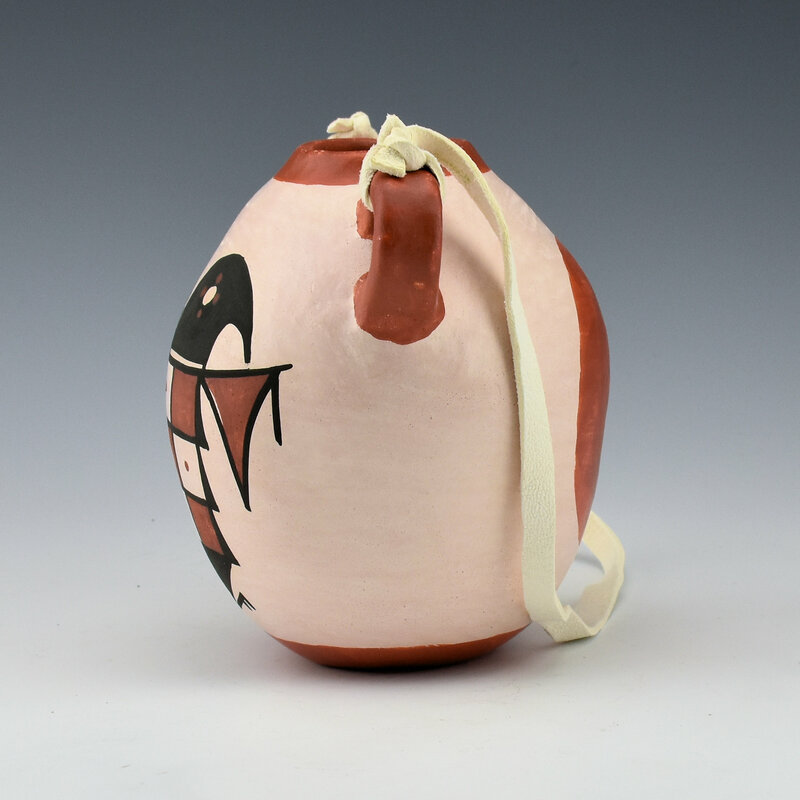 It’s great to see a potter who can create both traditional and contemporary styles in his pottery. It is signed on the bottom.